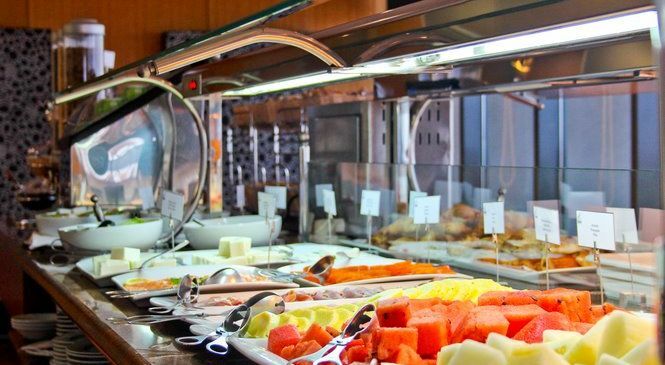 Run by acclaimed chef Alberto Carvalho, the Ria Formosa Restaurant is located on the fourth floor of the Hotel Faro right in the centre of the city. 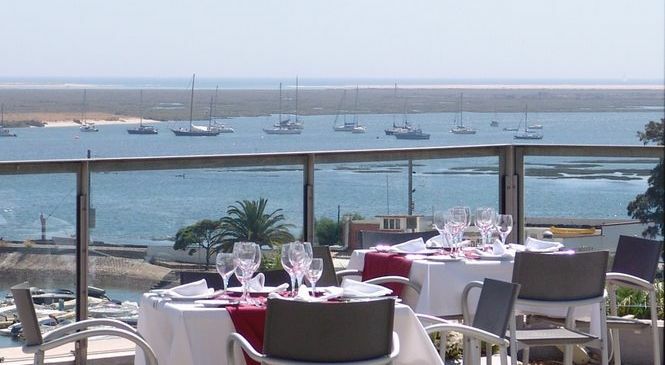 The sweeping terrace provides unmatched views out over the rooftops and spires of the historical Old Town in one direction and across the idyllic marine setting of the Ria Formosa Natural Park to Portugal’s southern Atlantic horizon in the other. The Ria Formosa Restaurant is highly popular amongst the hotel guests for its generous daily breakfast but comes into its own later in the day as a popular meeting place for guests, locals and businessmen, keen to enjoy good food and company against the backdrop of one of Faro’s favourite views. The stunning vistas are not lost to guests who choose to sit inside in the comfort of the large air-conditioned top-floor restaurant, thanks to the full glass wall that does an admirable job of bringing the outside in and the inside out. The feeling throughout the restaurant is spacious, with contemporary furnishings and fittings complemented by well-trained, friendly staff who do their best to make sure their diners enjoy a memorable meal. The menu offers a combination of traditional dishes from various areas of Portugal along with some modern Mediterranean offerings for something a little different. 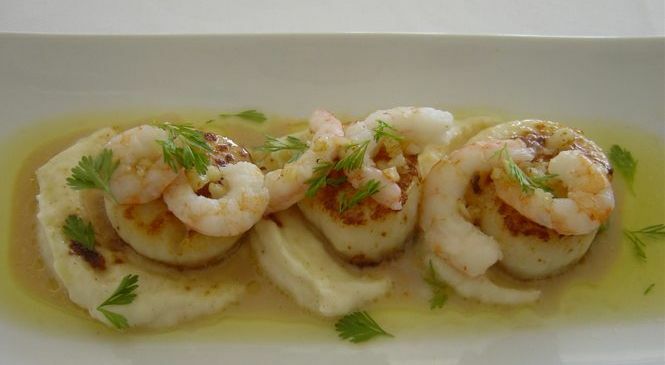 Southern Portugal is famed for its fish and seafood and the Ria Formosa Restaurant certainly does it justice. Chef Alberto Carvalho shops daily at the local market for fresh fish and the care with which he selects and prepares his food is evident in the flavour. Starters include a delicious octopus salad and mussels in a seafood broth, while huge prawns, fish stews and various dishes of freshly caught fried and grilled fish feature heaving amongst the main courses. For meat lovers the Carpaccio with Parmesan and Peppers is a firm favourite and there are a number of tasty pork and beef dishes to choose from. For a light vegetarian snack try the Algarvean Gaspacho, a delicious, light soup served cold. The restaurant is very accessible due to its city centre location, and thanks to its position within the Hotel Far, there is also ample parking for guests, something not all central locations can provide so easily. 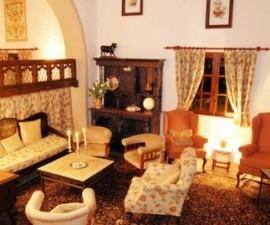 The restaurant is popular amongst groups and for family gatherings so booking is advisable. 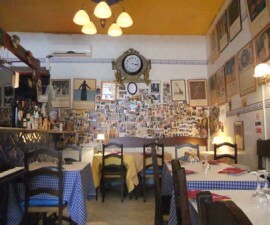 Average price for a meal for two with wine is around €50 to €60.